Here’s the dirt: there’s a lot going on in your garden now, even though you cannot see it. The activity is underground. 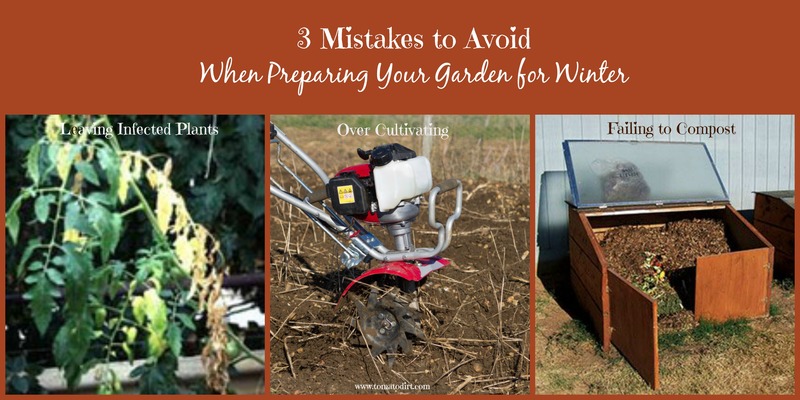 You want to help maximize that process as you prepare garden for winter. But you also want to avoid some costly mistakes. After a killing frost, pull up dead tomato plants and other garden refuse and put them on the compost pile. But check them first. Yes, inspect your garden debris. Don’t add diseased plants to the compost pile. If your tomato plants or other vegetable plants have any kind of disease – whether fungal or bacterial – destroy them or discard in the trash. Otherwise, the microbes will penetrate your compost heap, which means they’ll multiply. When you use that compost next year, the fungi will be thriving. It’s not a scenario you want. “Why not simply let the infected plants – or even spent plants – decompose in the garden?” you may ask. Decay takes heat and time. From the date of a killing frost until the date in which you till the soil next spring, this year’s plants may not encounter enough heat to “cook” in your soil. Even if they do, they may not have long enough to “cook” through. A healthy compost pile gets hot enough to do both. Pull out leftover weeds. But be gentle about it. Don’t over-cultivate when you prepare garden for winter. This is not the time to till the soil. In fact, extra cultivation in the fall can disturb the careful network that earthworms have set up underground all season … disrupt the microbes that are processing organic material … release nutrients and weaken the soil way too soon. Get rid of the big weeds that have hung on all season, but don’t over till the ground. Spread a layer of mulch, compost or leaf mold over your garden area before putting the garden to bed. The end of the season is the perfect time to add organic material to your vegetable garden. You’ll be glad you did come spring. There are a few reasons this step helps your garden get ready for next season. First, a barrier layer of organic matter helps discourage any weeds that are “hangers-on” beyond what you’ve pulled: no light, no growth, especially if they’re fighting cold temperatures, too. Organic matter also blocks the sun from seeds that remain in the soil. That means they have less of a chance of sprouting during warm spells and a greater of chance of “baking to death” as the sun warms the soil and freezes it again. 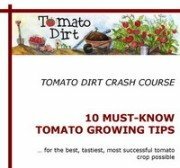 Finally, that luscious layer of compost, leaf mold, or mulch adds nutrients to your soil that will welcome your tomato plants next spring, giving your fledgling seedlings a nutritious, rich home. Now that you’re spending less time digging in the dirt, you can also use that time to build structures you need for next season: raised boxes, trellises, tomato cages – even a cold frame or greenhouse. But most important is your compost pile. If you have room near your garden on your property, add one. If you already have a compost pile, then take time during the winter months to add to it. In doing so you'll not just prepare garden for winter, but you'll be ready for next season, too.